I’ve declared my undying love for roasted cauliflower once before. It’s the only tasty way to go about it. 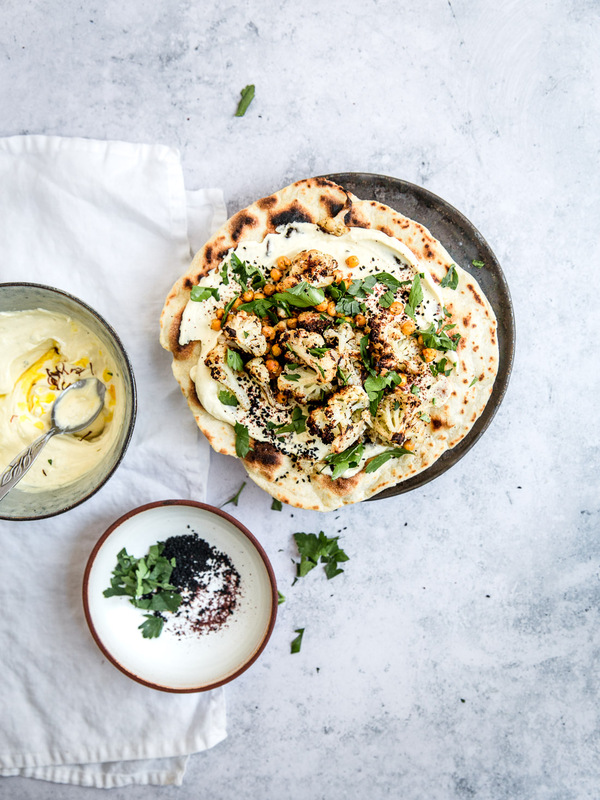 This time, I’ve upped the ante with my roasted cauliflower flatbreads and golden yoghurt. The recipe is one that’s spawned from repeat cooking of a particular dish from Georgina Hayden’s ‘Stirring Slowly’. The yoghurt flavour combination is perfect as it is so I’ve pretty much kept the quantities as per her original recipe. Because if it ain’t broke, don’t fix it! This is how most recipe development starts, finding a recipe you love, building and tweaking to your own taste. On that note, feel free to have a play around with the spices you roast the cauliflower with. I find za’atar to be a good mix because as a spice blend you don’t end up reaching for a whole load of other ingredients to get the flavour. A harissa spice blend would work a treat too! 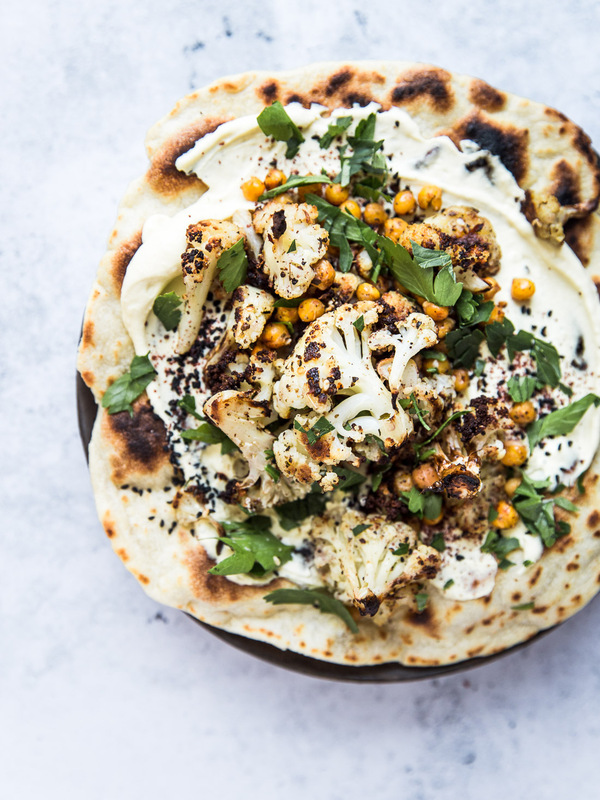 As delicious as the other components are, what really makes these roasted cauliflower flatbreads a favourite is a soft homemade flatbread. I’ve only started making them from scratch recently and they are worlds apart from anything you will find in the shops. There’s no going back for me now. I use this recipe here which I’ve found to be foolproof, just make sure you’ve got the pan smoking hot if you want a charred, puffy flatbread. Prep the flatbread dough ahead of starting the recipe below and cook just before serving. Put the saffron into a small bowl, cover with 2 tbsp warm water, stir and leave to one side. Put the cauliflower and chickpeas into a large roasting tray. Sprinkle over the za'atar, chilli flakes and a good pinch of salt and pepper. Drizzle with olive oil and mix together until evenly coated. 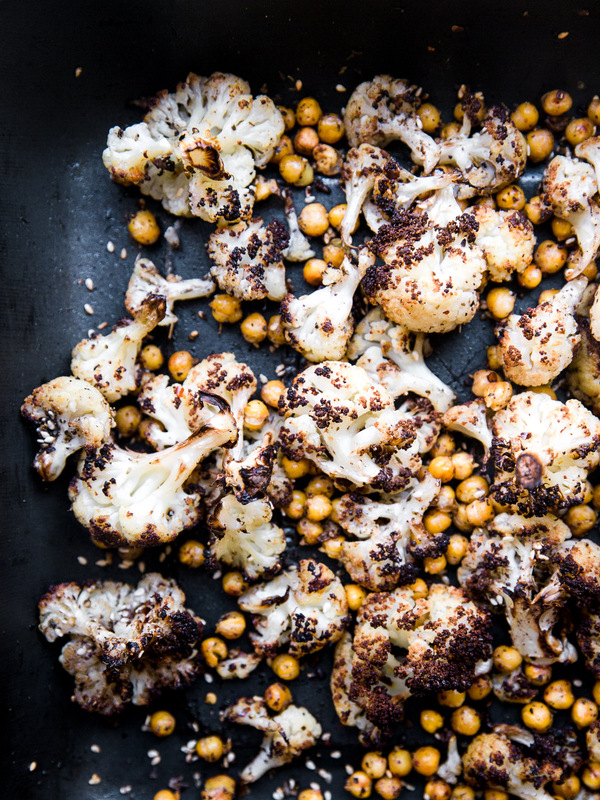 Roast in the oven for 30 minutes, until the cauliflower is tender and the chickpeas are crispy. As the cauliflower is roasting, make your yoghurt dressing. 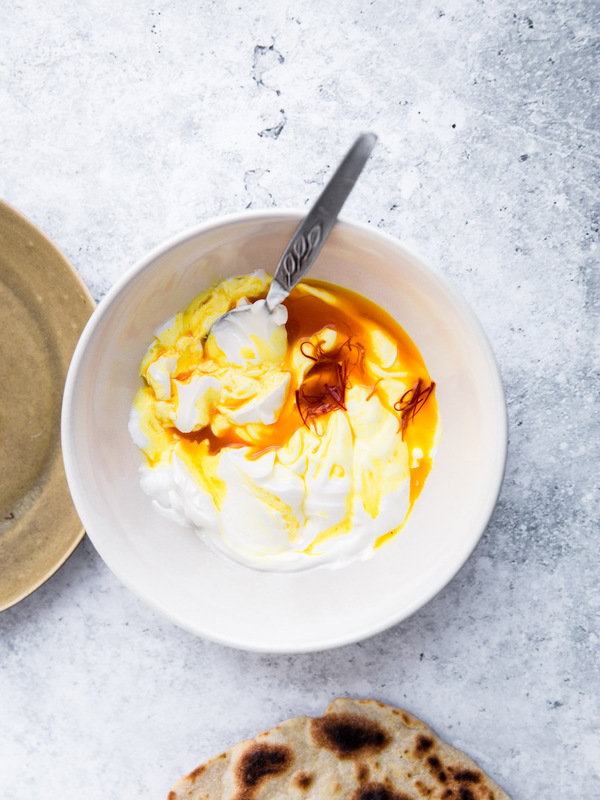 Mix together the yoghurt, tahini and lemon juice. Add the garlic and vibrant saffron liquid (including the threads). Stir together and season to taste with salt and pepper. When the cauliflower is ready, remove from the oven. 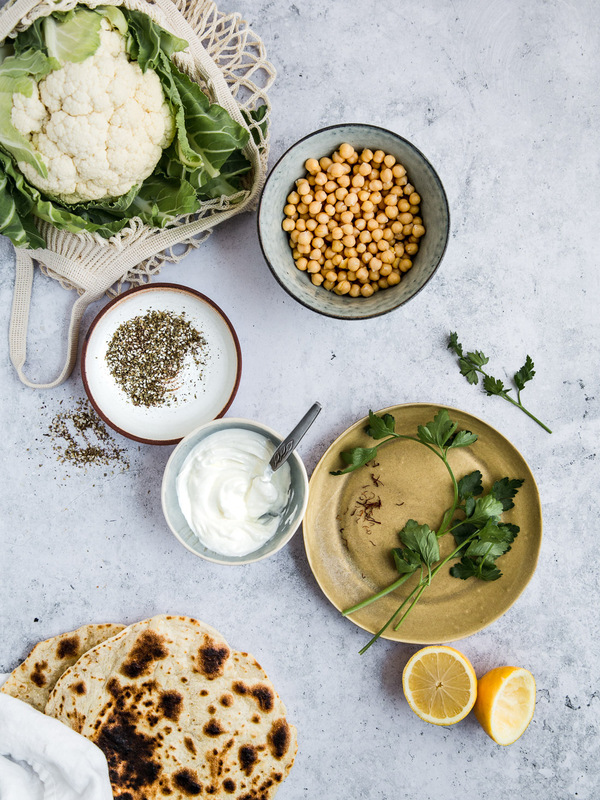 Spread the yoghurt mixture over your flatbreads, arrange the cauliflower and chickpeas over the top. Sprinkle with the parsley, nigella seeds and sumac. Enjoy!